Trip highlights: This tour unveils you the splendid Chian via the viabrant metropolis - Shanghai, ancient capital - Xi'an, and imperial Beijing. Not only can you feast best-known scenic spots including the Bund, Terracotta Warriors, Forbidden City as well, but you also can enjoy delicious local snacks and exquisite souvenirs. -- Accommodation in Beijing, Xian, Shanghai. -- Private escorted tour in Beijing, Xian, Shanghai with service of English Speaking tour guide. 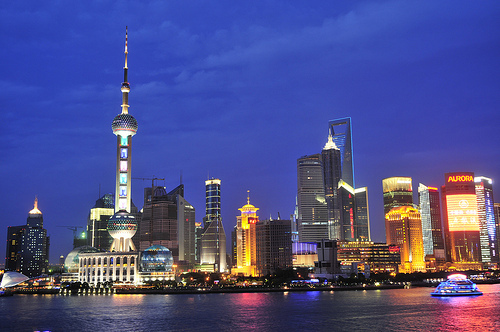 -- Other optional tours and add on activities in Beijing, Xian and Shanghai. -- Flight arriving Shanghai, departing Beijing. Holiday Inn Express Shanghai is a 3-star business hotel. The hotel enjoys much transportation convenience. It''s within walking distance to the Shanghai Metro Line 3 and Line 4 Shanghai Circus World Station. Moreover, it''s merely 1.5 km from Shanghai Railway Station and 20 km from Shanghai Hongqiao International Airport.